Apple is taking much of what it learned while making inroads into the world's largest cellphone market in China and applying that knowledge to help it crack the vast opportunity present in India, where the company is working with distributors to mitigate the up-front costs of acquiring an iPhone in the country. Market research firm IDC said late last week that sales of Apple products have risen by 400% over the last three months in India, a region the company has largely 'ignored' for the past several years as it focused on other emerging markets, such China. Much of the recent progress has reportedly come through a boost in iPhone sales, helped by an "extensive advertising and marketing campaign" on the part of the Cupertino-based company. In followup report Friday, the Economic Times elaborated on the subject, explaining that part of the newfound success has to do with Apple opting for an open distribution model, signing up with distributors Redington and Ingram Micro who then turn around and offer customers more approachable, installment-based payment plans for iPhones. "Apple understands that installments-based payment is an effective tool for bridging the gap between value and affordability," said Himanshu Chakrawarti, CEO of TheMobileStore, a national retail chain that operates 1,000 outlets in 150 Indian cities. "We started the EMI scheme with Apple early this year and witnessed a three-fold increase in sales." Payment plans are proving so successful due in part to Apple's previous approach towards marketing the iPhone in India. As AllThingsD points out, Apple has been selling iPhones on the open market, not through carriers that subsidize their cost through high-margin service contracts, which effectively lower their selling price of the handsets for consumers at the point of sale. And while India is among the fastest-growing wireless markets in the world, its also highly price sensitive. Thats been problematic for Apple, which has traditionally been unwilling to cut prices to drive volume. - AllThingsD "Apple is doing what it did in China three or four years ago. They studied the market, learned consumer needs and suddenly went aggressive," said Jayanth Kolla, founder & partner at Convergence Catalyst, a telecom research firm. "From having about 30 people here six months ago, Apple India is now about 150-people strong." The expanded effort is in line with comments made by Apple Chief Executive Tim Cook during a recent conference call with analysts, where he indicated that the company had begun to ramp up efforts in the region but won't be moving as aggressively as it it will be in other emerging markets like China, where he sees greater opportunity in the short term. 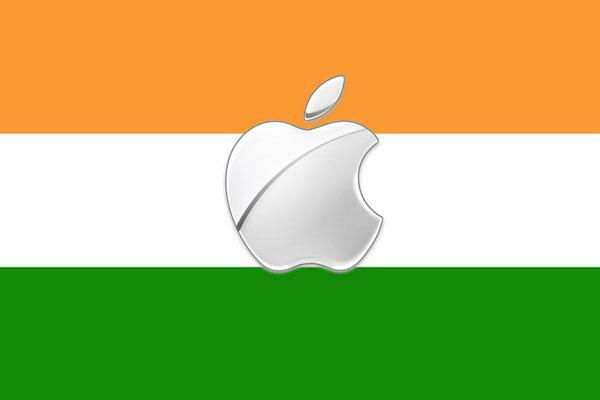 Longer term, India would appear critical to Apples overall growth strategy, as it sits behind China as the world's second largest mobile computing market with demand for mobile phones estimated to reach a quarter billion units by next year. The move to push payment plans for iPhones in India could serve as short-term a stop-gap measure for Apple, which is heavily rumored to introduce a lower cost iPhone around mid-year that would permanently cater to price-sensitive emerging markets like China and India, where rival Samsung's dominance has gone largely unchecked.